Cat getting old? Time for a liquid cat glucosamine supplement! 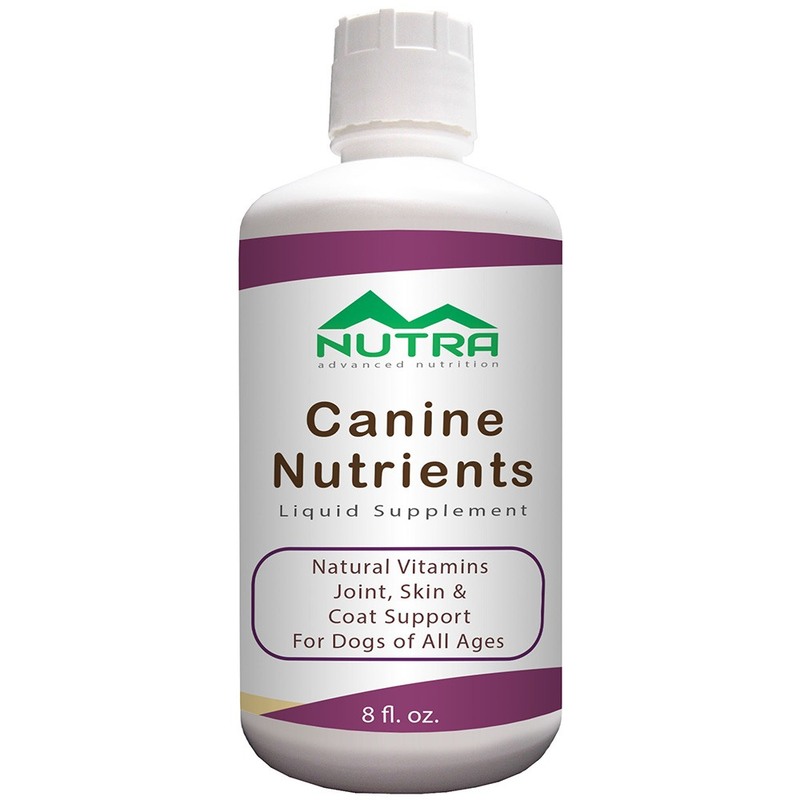 Matsun Nutrition is a private label supplement manufacturer of cat liquid glucosamine. All cats need healthy joints to live an active and peaceful life. 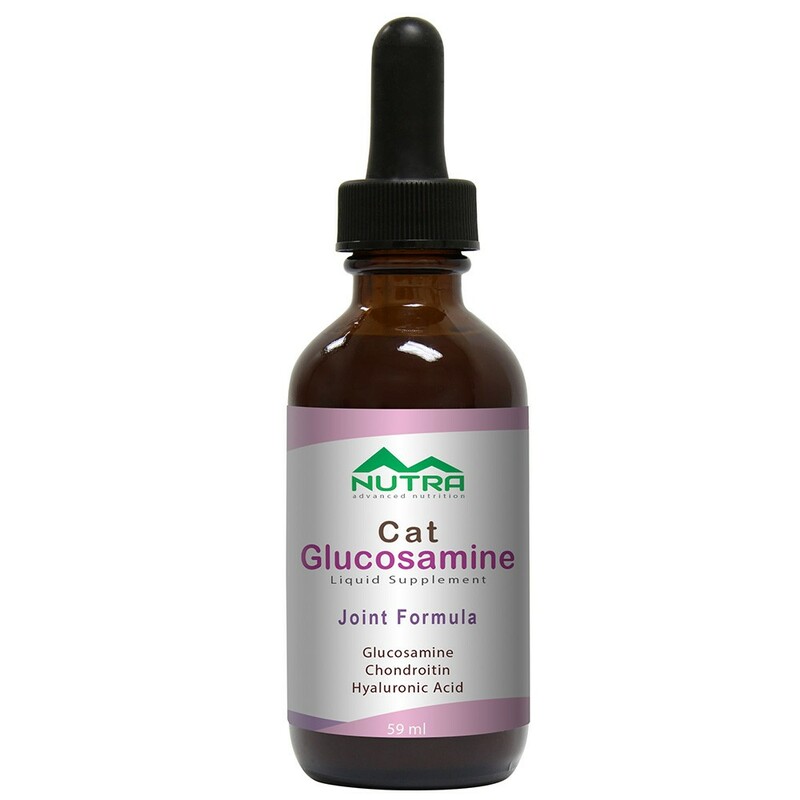 As cats get older or injured they may require a liquid glucosamine supplement to meet those needs. We are a full-service contract manufacturer and can supply private labeling for stock formulations we have on hand, along with custom cat liquid glucosamine formulations to meet your specific client needs. 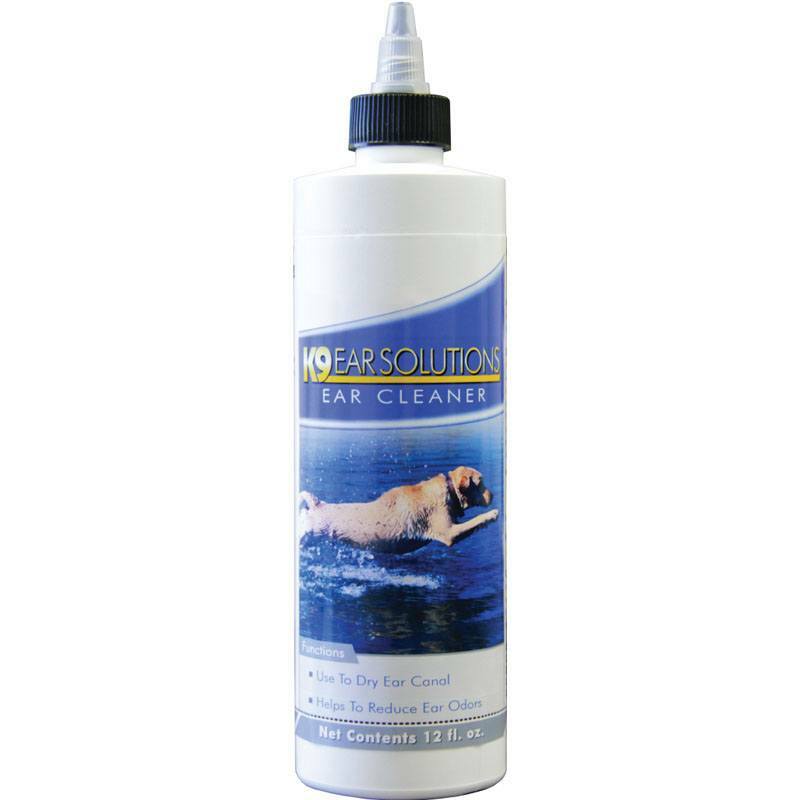 Our pet liquid glucosamines are specially formulated to support joint function in cats, dog, and other animals. It comes in a delicious organic beef gravy flavor your cat will love! So, if your frisky feline is having a little joint trouble, maybe it’s time for a new cat liquid glucosamine supplement. Administer 1-2 ml daily directly into mouth, using care to see that all is consumed. 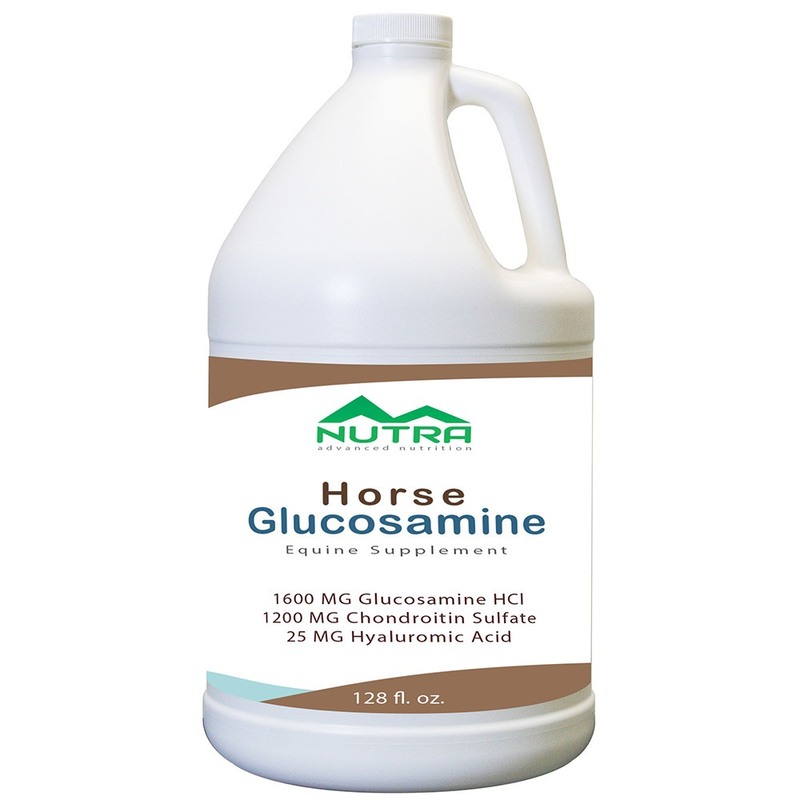 Contains GreenGrown™ Glucosamine: USP grade glucosamine derived from non-animal sources helps to maintain the synovial fluid that lubricates the joints. Chondroitin Sulfate USP: Not all chondroitin supplements are of equal quality. 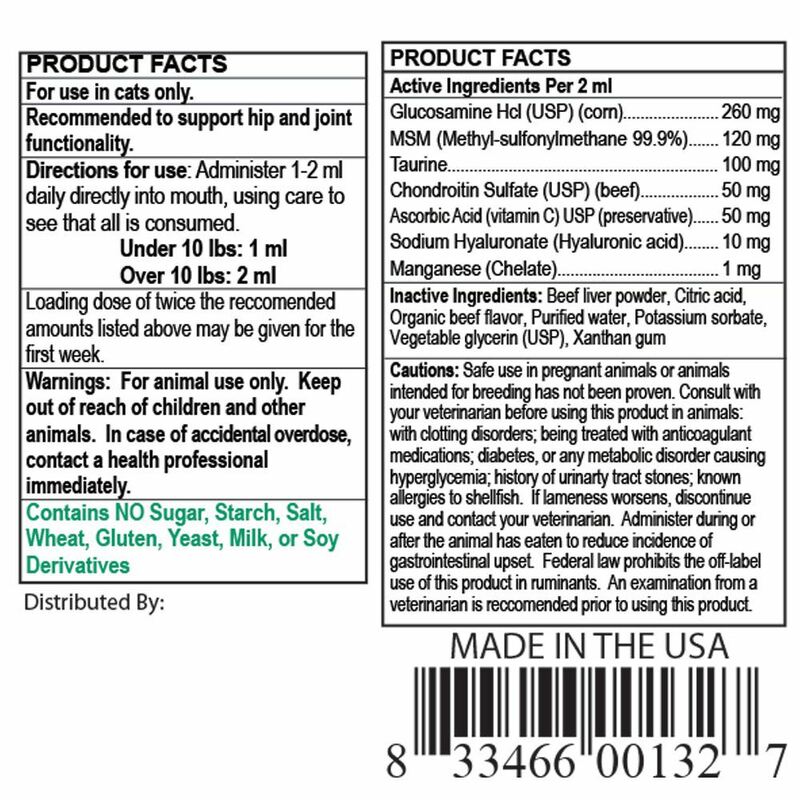 Liquid Health uses the same USP grade chondroitin used in its human formulas. Studies have shown that high-quality chondroitin has synergistic effects in joint health when used with glucosamine. Opti-MSM®: Most MSM comes from China. Joint Purr-Fection uses the only U.S. manufactured MSM available. Opti-MSM® is manufactured to 99.9% purity under strict quality control standards. Opti-MSM® serves multiple functions in the body, including strengthening connective tissue. See www.OptiMSM.com for more information. Hyaluronic Acid: Known as “the moisture molecule,” hyaluronic acid can bind up to 1,000 times its weight in water. Due to its water-binding properties, hyaluronic acid can support the lubrication of joints and is beneficial for skin, gum, and eye health as well. Taurine: Taurine deficiency can cause numerous health-related issues in cats. Because cats secrete taurine through bile acids, they must get this amino acid in food or supplements. Matsun Nutrition strictly complies with FDA guidelines for manufacturers. We are a cGMP certified facility. 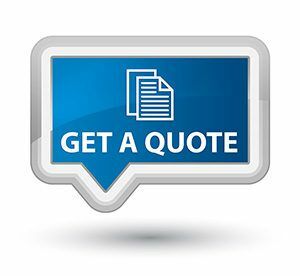 We pride ourselves in running a clean and compliant facility which allows our clients to feel confident in our ability to provide an excellent product. All of our supplements are manufactured here in the USA. For further information on our pet supplements or setting up a wholesale account, just give us a call. We’re always here to assist you with your liquid supplement business! with clotting disorders; being treated with anticoagulant medications; diabetes, or any metabolic disorder causing hyperglycemia; history of urinary tract stones. If lameness worsens, discontinue use and contact your veterinarian. Administer during or after the animal has eaten to reduce the incidence of gastrointestinal upset. Federal law prohibits the off-label use of this product in ruminants. An examination from a veterinarian is recommended prior to using this product.